The 1977 1000cc Harley Davidson Sportster Ironhead for sale is a 1977 Harley Ironhead Sportster Bobber that has a lot of new parts and accessories including new Z-bars, coil, points, seat, shocks, headlight and all new wiring. The bike comes with a title and many extra components like a new cam cover, used primary cover, extra points, electronic ignition, new advance unit and more. The Sporty's tires are in great shape as well as the chain and sprockets. The bike is running great and I ride it 2-3 times a week as a commuter to and from work. I have put 750 miles on it since the work I have done but I don't have the original mileage and it's not listed on the motorcycle's title. If you would like to write a review or voice any opinions on the 1977 Harley Davidson Sportster for sale, you may use the comments form below this ad to do so. 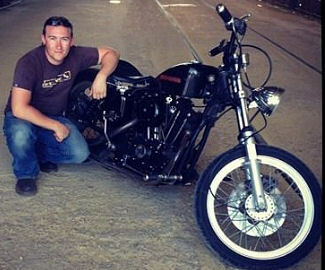 Thanks for visiting GoGoCycles Used Motorcycles for Sale and for taking a look at the 1977 1000cc Harley Davidson Sportster Ironhead for Sale. My location is in the Dallas Fort Worth Texas TX area and in my opinion my asking price is cheap enough that it can't be beat on Craigslist or in an Ebay auction; $5000. Give me, Jason, a call or text 254-977-3six93 for more details.